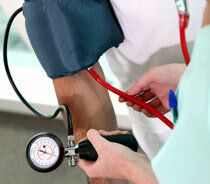 High Blood Pressure is also known as the silent Killer. Many people who go to their GP’s get told to ‘eat better’ or ‘get some exercise’. What they don’t get told is how to do this, leaving them unable to solve the problem. What to expect from High Blood Pressure programme? Using our Ten Approach (Training, Education, Nutrition), our training programmes will totally re-educate your mind, your body and your palate, by showing you what foods truly will provide you with the healthy body you deserve. Another major misnomer is the way you engage in physical activity and it’s outcome. Lez gets amazing results with a very short exercise routine (10-15 minutes daily) that most age groups and genders can undertake. Q: High Blood Pressure. How many people have it? A: 15 million people in the UK, 60 million people in the USA and 1 billion people worldwide are reported to have H.B.P. The story is that 50% of people over fifty in the UK have it. One of the fundamental causes of high blood pressure is lifestyle. Lifestyle is made up of habits and conditioning that have been developed over time. A: Common causes of High Blood Pressure as suggested by the NHS include: kidney disease, diabetes, narrowing of the arteries (large blood vessels) supplying the kidneys, hormonal conditions, such as Cushing’s syndrome (a condition where your body produces an excess of steroid hormones), conditions that affect the body’s tissue, such as lupus. Q: What are problems of High Blood Pressure? A: H.B.P. can be very dangerous and life threatening. It can cause Cancer, diabetes, heart disease, kidney disease heart attacks strokes and other illnesses. A: Diet is one of the major reasons why people have high blood pressure. The consumption of fatty & processed food, processed drinks, drugs and alcohol over the years can produce such thing as high blood pressure. Changing your diet is fundamental. A: Doctors, pharmaceutical drug companies, nurses, hospitals, clinics, blood pressure machines, chemist etc, this is a multi billion pound/ dollar industry and there are vested interests and incomes at stake in not creating any cures. There is simply no money in the cure. These organisations will not be the ones to deliver the cure when there are vast amounts of money to be made in the treatments. These prices are correct at time of publication 1st October 2012. We reserve the right to change prices at any time. Prices are subject to consultation at which point Clients will receive their Personal Quotation.